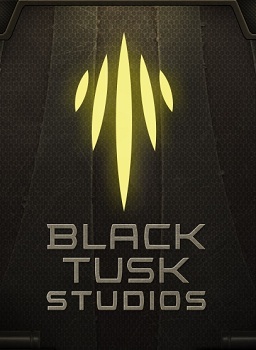 Black Tusk Studios in Vancouver wants to make the next Halo. Given the incredible amount of time and money gamers have poured into it, it's not surprising that lots of studios want to create the next Halo. When Microsoft opens up a brand-new studio and staffs it with AAA industry veterans to do so, however, the prospect suddenly becomes much more reasonable. Microsoft's 55-person Vancouver studio has been renamed "Black Tusk," and will begin expanding right away to craft a new Microsoft IP that it hopes will be just as successful as the flagship Halo franchise. Mike Crump, the studio manager for Black Tusk, has big plans for the fledgling outfit, including doubling its staff within the next year. "[We] are working on Microsoft's next big entertainment franchise," says Crump. "We're not working on an existing franchise, we're looking to build the next Halo ... which is really exciting. We are building something from the ground up." Black Tusk's core developers are largely ex-EA employees with an average of 12 years industry experience, and are used to working with "big games, big teams, big budgets, long timelines." While other companies, including Rockstar and Activision, have recently shut down Vancouver operations, Crump believes that Black Tusk's location is one of its biggest assets. In addition to a sizeable pool of extant talent, the studio wants to attract talented developers from all over the world. "When we are going out and we're recruiting, whether it's California or Frankfurt, it is never a tough sell to convince somebody to move to Vancouver," Crump explains. In fact, the studio gets its name from the Black Tusk summit in British Columbia, which is sure to please locals. Those in the Vancouver area may want to check out the studio's available jobs, but the rest of the world will have to wait and see how Black Tusk's games shape up. Having the experience and ambition necessary to launch a franchise is all well and good, but not every Microsoft property is guaranteed success.